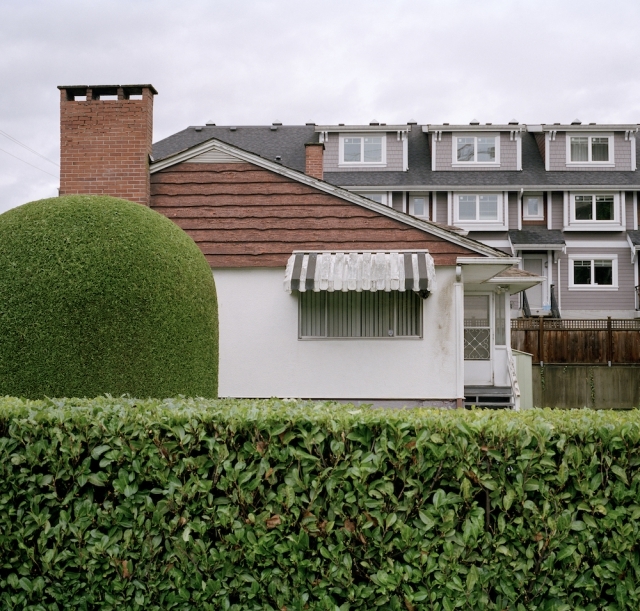 Jeff Downer uses photography to engage with multiple and overlapping histories to comment on life, globalization, integration, and alienation. In Richmond, very disparate, unique, and established communities are being united by a larger urban sprawl, or rather being taken over by it. Facets of urbanity loom large over this city and come to threaten the future of small communities, the erasure of their histories, and the displacement of their persevering citizens. In many instances, a single vantage point offers several layers of history contiguous to each other, as if the new development is growing naturally from what already exists. 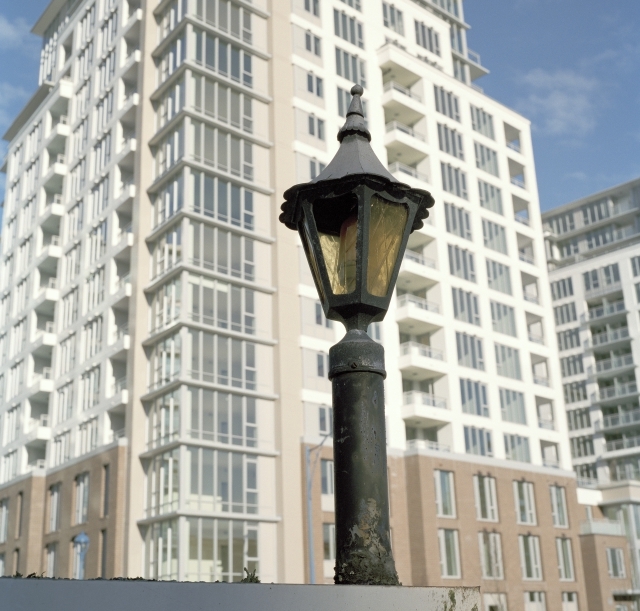 For many, new condominium developments are ideal places to live. 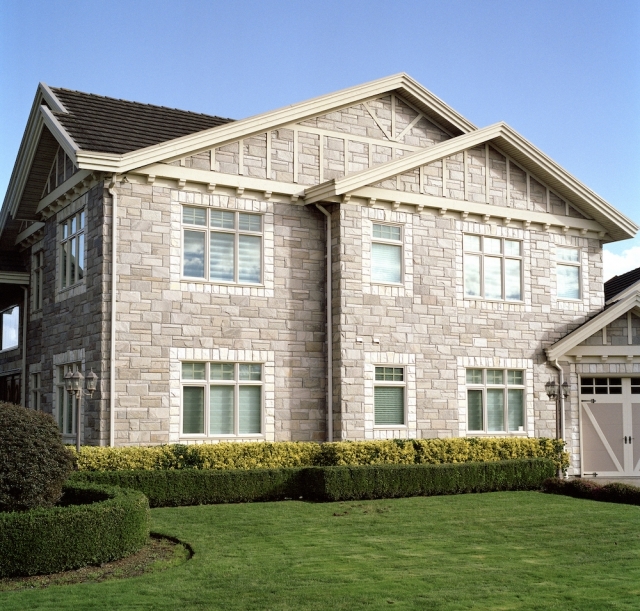 They are clean, sleek, designed, and manicured homes of which there are thousands. When viewed critically, however, they are formally akin to a Hollywood film set—a flat-screen facsimile for the real thing. 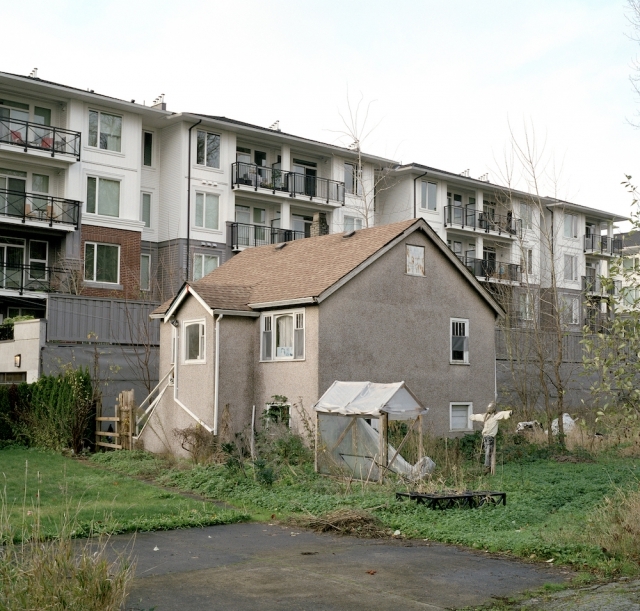 This type of development is not new to Richmond, nor the Lower Mainland at large; this sprawl is happening on a global scale as the world’s population continues to grow.